Looking for a retreat to one of the most remote, pristine wildernesses in the world? 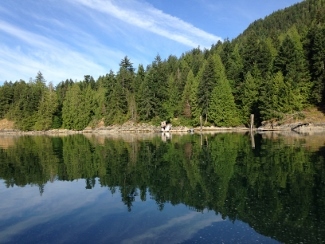 We found it in the far north of British Columbia, on one of the Discovery Islands of Desolation Sound. It’s called Sonora Island! 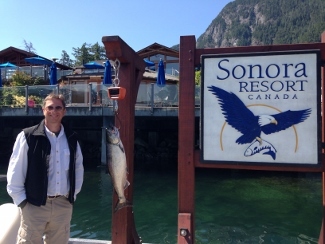 Just a few hours north of Seattle, we flew on a Kenmore float plane and arrived to the Sonora Resort on Sonora Island. The friendly staff greeted us on the dock and welcomed us to Sonora’s 5-star eco wilderness luxury resort. Sean Ross, General Manager, gave us a helpful overview of the resort and shared, “We have designed a series of adventures that will excite your senses, sate your curiosity, invigorate your body and relax your mind. Let us help you design the perfect adventure with a customized activity itinerary, so you have an unforgettable experience”. We were excited to be able to select from so many adventures. Here are some of the unique experiences we had on Sonora Island. 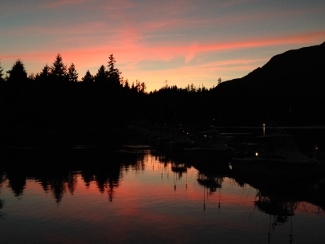 Here are our top things to do at the Sonora Resort in Canada! Explore the Sonora Resort! Great way to get oriented to the resort and the island is to walk it. The beautifully landscaped grounds surrounding the lodges, give every suite a sense of privacy and view of the natural beauty outside. 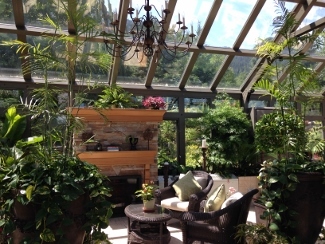 Our tour of the property included the fitness center, yoga studio, Island Currents Spa, conservatory, Japanese garden, swimming pools, mineral pools, tennis pavilion, 9-hole putting green, theater, archery range, ponds and hatcheries. 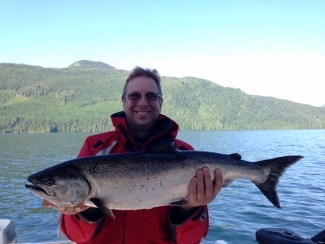 Salmon Fishing: This was a highlight of our Sonora Island getaway! We left the resort early in the morning and went out with a professional local guide who taught us how to fish. Chinook salmon were making their way back from the ocean to their spawning grounds. Our guide Dan soon had us on fish. After about 2 hours on the water, we hooked into a beautiful 12 lb. chinook. After returning to the dock, the resort prepared it for shipping & packed it on ice for us to take home and grill. 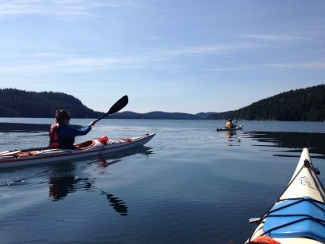 Eco-Adventure Tour: Everyone at the resort loves this tour. 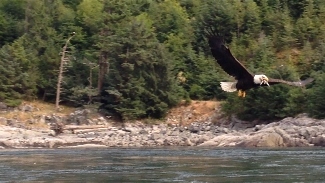 On this tour, you explore inlets and waterways where hundreds of bald eagles feed. 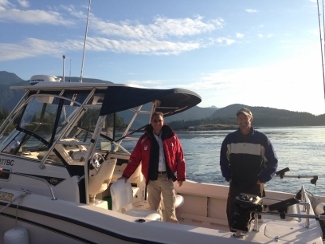 On this tour, our speed boat hugged the coastline to look for black bears. We saw plenty of harbor seals lying on the rocks, basking in the sun too. 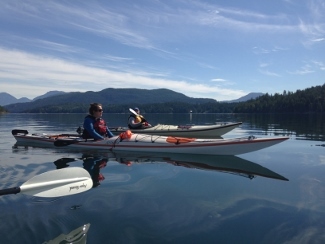 Ocean Kayaking: We signed up for the kayaking adventure with a guide who took us from Discovery Islands Lodge to the Surge Narrows, then wrapped around Stuart Island, and returned back through the Settlers Group, next to the Hoskyn Channel. It was easy to glide our paddles through the still waters. Eagles flew overhead, and we had the occasional seal pop up to see who we were. Highly recommend this activity! Hiking: There are several trail options from Sonora Resort from 1 to 7 mile loop trails. 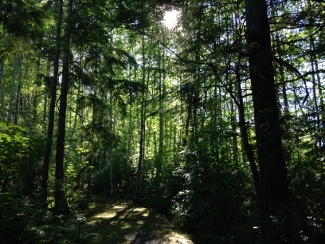 Some guests have sighted wildlife including black beers, blacktail deers, bald eagles, and a variety of birds. The island is rich with flora too, and lots of edible berries – blackberries, red huckleberries, salmonberries, thimbleberries, and more! Good to Note: Use Caution when hiking the trails, and follow the resort guidelines on what to do if you encounter wildlife. More Adventures! 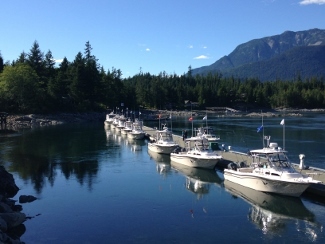 There are several other activities to choose from including a Grizzly Bear Tour, River Fly Fishing, Helicopter Fly Fishing, Blind Channel Tour, Helicopter Glacier Tour, Archery, River Rafting Tours, and Storey Creek Golfing. Island Currents Spa: Located at the resort, guests can check into this luxury spa, and choose from a menu of personalized treatments. 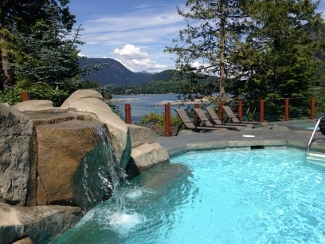 Before our massages, we relaxed in the sauna, steam room and outdoor mineral baths, and reclined in the relaxation room for a blissful foot soak. Cooking Class: We didn’t have time to attend the cooking class, but heard from other guests that the class is fantastic! WHERE TO STAY & DINE? Sonora Resort offers luxury accommodations in the resort’s 12 lodges. Every lodge, suite, and room is spacious with its own Jacuzzi or access to one. 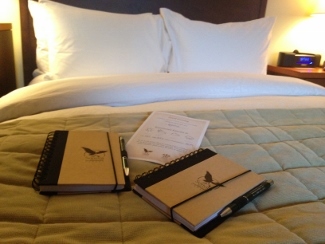 We especially loved our beds with luxurious linens, goose down duvets and the Molton Brown amenities. This all-inclusive resort pampers its guests and ensures each person’s needs are met. 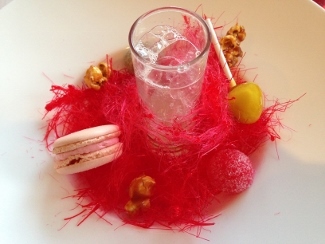 Here’s what’s included – all gourmet meals, liquor and wine, beer, juice and soft drinks (additional charges may apply for premium spirits and wines) as well as complimentary wireless internet and unlimited worldwide phone calls. 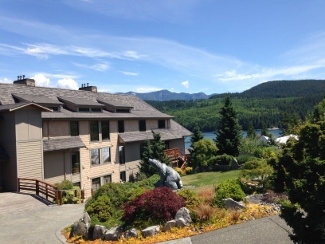 Also included is the use of all resort amenities including the outdoor heated pool, roof top hot tubs, mineral pools, movie theatre, 9 hole putting green, virtual golf, fly-fishing ponds (equipment supplied), saunas, fitness center, shuffleboard, pool and Xbox. Guests come to this location for weddings, corporate retreats, private getaways, family reunions and can choose from an array of activities that create lasting memories. 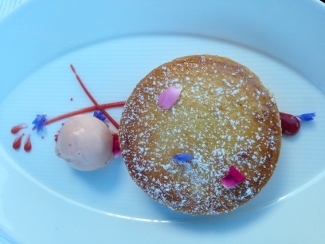 Here in Canada, Chef Terry Pichor combines “old world techniques with west coast ingredients” noted our waiter. 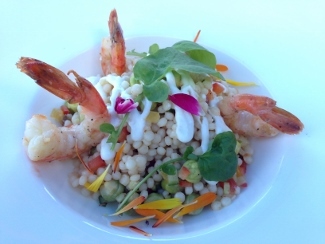 Chef Pichor and his team prepared delicious meals that were presented artfully. Every meal was amazing! 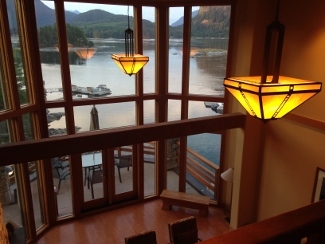 You wont regret this stop during your stay at Sonora Resort in Canada. 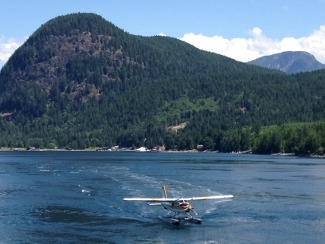 Kenmore Air: We choose Kenmore Air to fly to Sonora Island. This American airline offers to fly to over 45 destinations in the Pacific Northwest. Founded in 1946, Kenmore serves customers with “exceptional friendliness, honesty, fairness and a sense of Kenmore Pride,” shares Ty Edwards, Director of Customer Service. 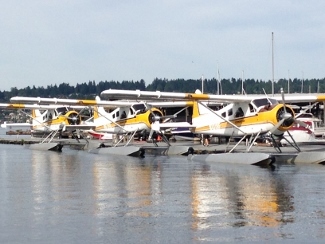 Our float plane departed Lake Washington and flew us right to the front dock at Sonora Resort, B.C. Canada. 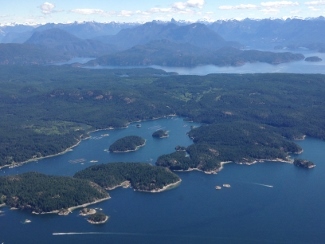 Smooth flights, excellent pilots, and breathtaking views of the Pacific Northwest! 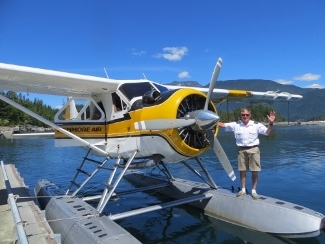 Global Adventuress would like to thank Kenmore Air and Sonora Resort for hosting our flight and stay on Sonora Island. We also would thank Travelpro for the carry-on spinner suitcase, a favorite of travel crews and avid travelers, as well as DK Travel for the Canada travel guide. 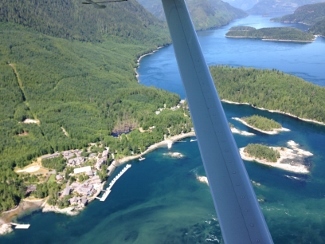 Kenmore Air: We choose Kenmore Air to fly to Sonora Island. With over 45 destinations in the Pacific Northwest, there are many locations to choose to fly. 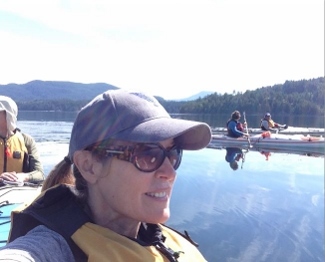 Our float plane departed Lake Washington and flew us right to the front dock at Sonora Resort, B.C. Canada. Good to Note: the plane departs Lake Washington, and makes one stop at Nanaimo, Canada to clear customs, before continuing its flight to Sonora Island. Sonora Resort: Sonora Resort is a 5-star luxury eco resort that offers a unique set of adventures in one of the most remote locations in the world. 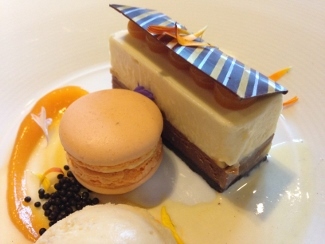 A member of Relais & Chateaux properties. 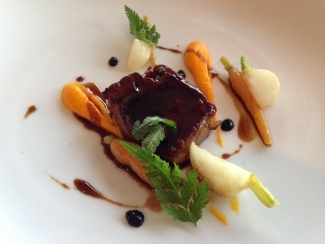 Established over half a century ago, Relais & Châteaux is an association of the world’s finest hoteliers, chefs and restaurateurs that has set the standard for excellence in hospitality.